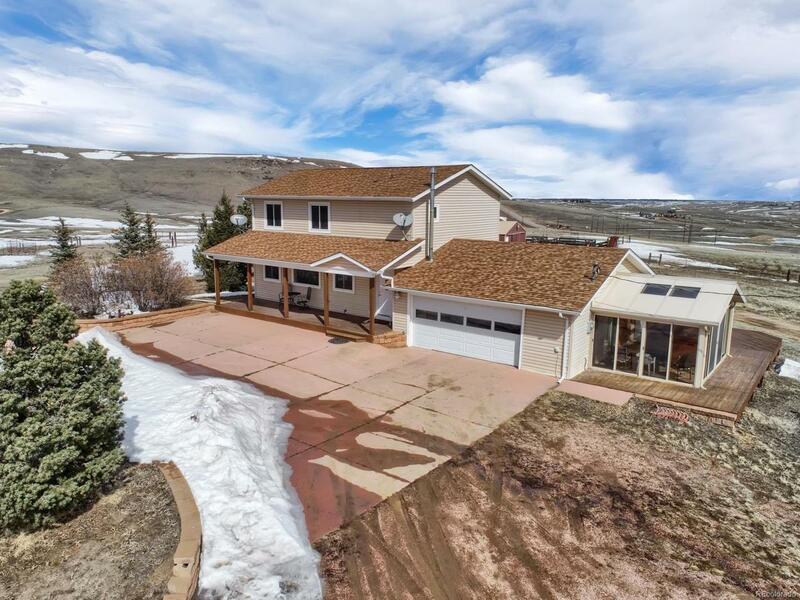 Colorado ranch on 40 acres with no covenants and seasonal spring fed pond. 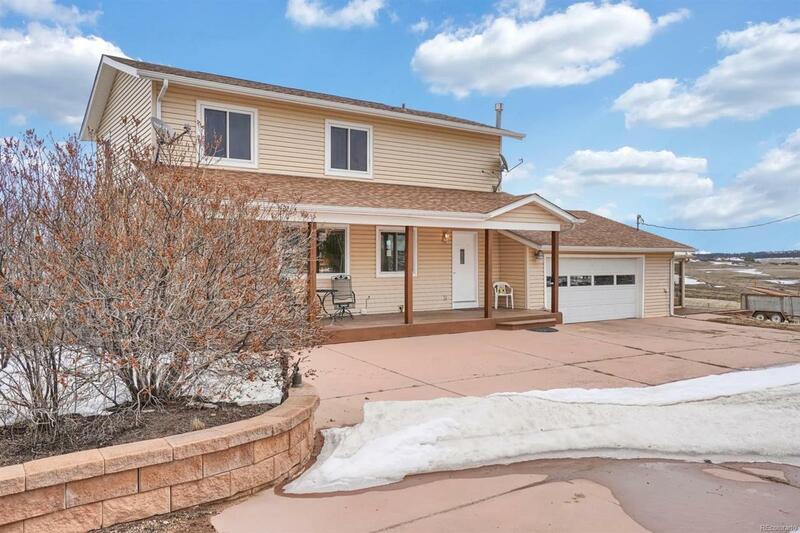 Two story home with 3 bedrooms, 3 baths, 2 car attached garage with hot tub in sun room. Corian countertops in the kitchen with updated cabinets and stainless appliances. 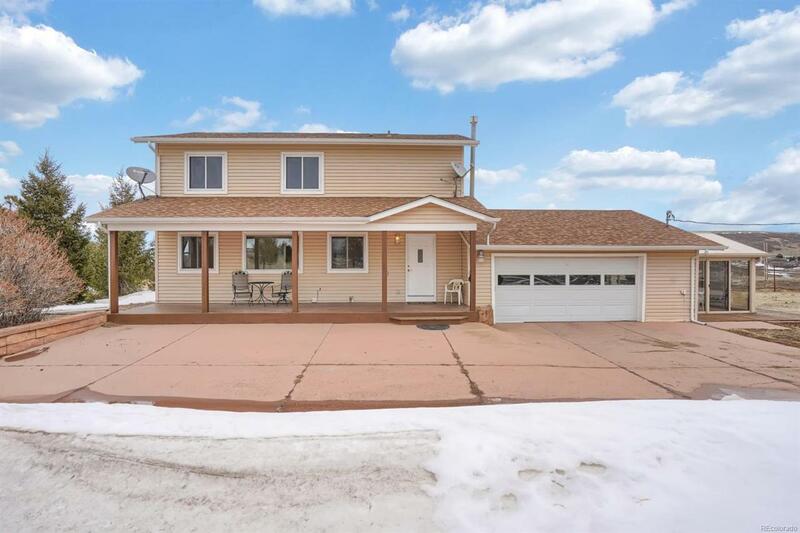 Ranch property is ready & waiting with amenities including 40 fenced acres with a 30 x 48 workshop; 30 x 48 barn and corrals. RV parking with electric hook up, water and access to septic. Shop & barn have electricity & water. 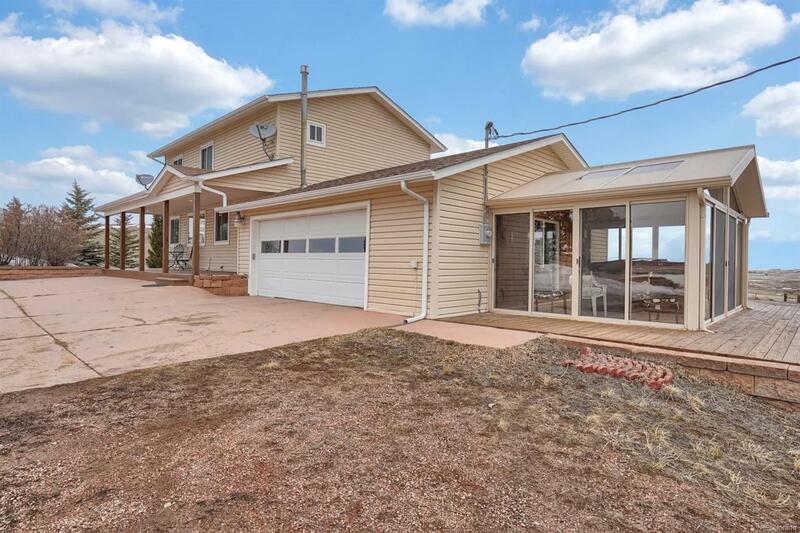 Covered front deck w/Pikes Peak view and wrap around side decks offer great outdoor living.Updates include new boiler (2015) new roof (2017). Zoned Ag with existing grazing lease that can be kept if desired. Ask about grazing land that could be available.